Beware.... 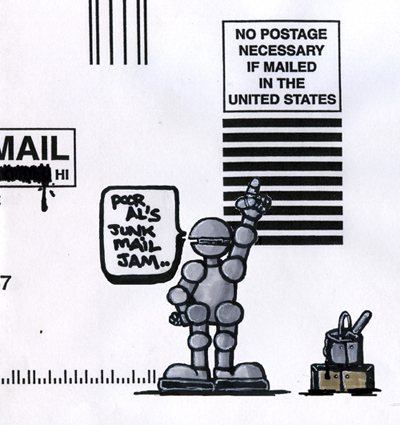 Junk Mail Jamming can be addictive! If you want to purchase an existing piece, commission a custom canvas or mural, or you just want to exchange words, contact Poor Al at pooral@hotmail.com. You can use PayPal to pay with a Credit Card or Bank Account. Please verify the purchase with me before paying to work out availability and shipping.. Thanks! !